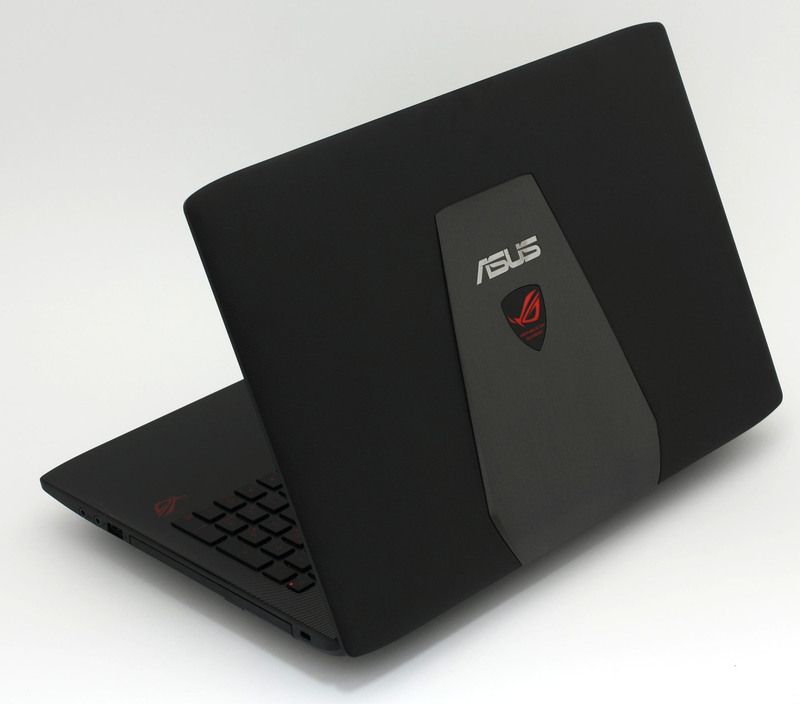 Republic of Gamers is a renown gaming notebook lineup from ASUS offering high-quality machines made to be abused with hardware-hungry games. They all share a similar aggressive, yet attractive design signature, but all of this comes with a relatively high price tag. Though, this is not the case here. We are going to review the GL552 gaming laptop which is for those of you not willing to empty their wallet for a gaming machine, but would like to keep the feeling of a Republic of Gamers notebook in their hands. 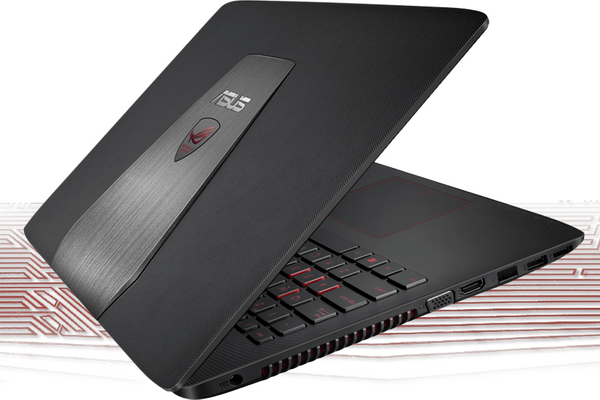 The GL552 comes with a budget hardware – it can be found with dual-core Core i5 or quad-core Core i7 CPU and with the newly announced GeForce GTX 950M (2GB DDR3 or 2GB GDDR5) GPU with the DDR3 version being significantly cheaper. To be honest, it’s really hard to say that this GPU will satisfy most gamers, but the “casuals” (as some like to call themselves) will be able to play some more demanding games with settings turned down a notch. At least, this is according to our gaming test as we were even able to run GTA V really smoothly. Keep reading to find out more about this intriguing machine. 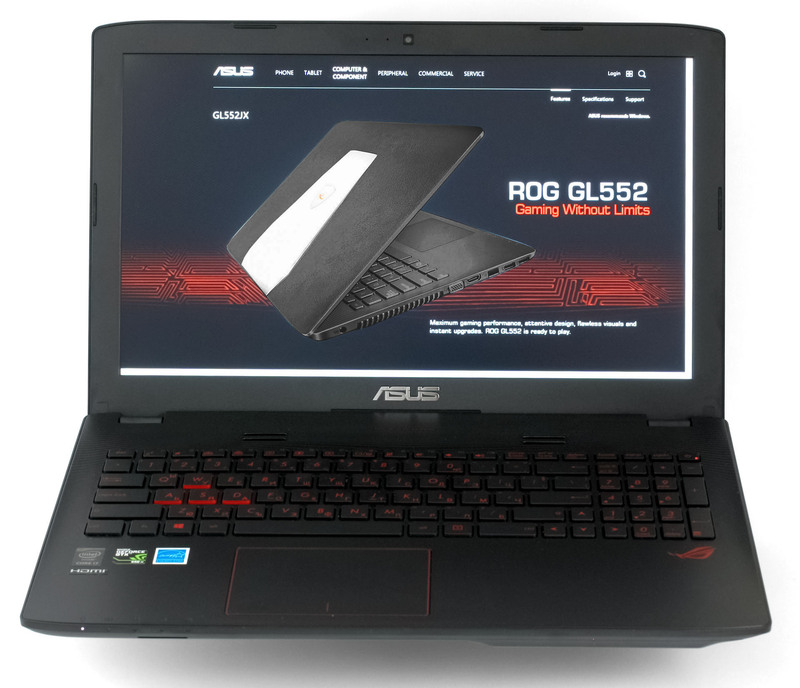 Despite the low price tag, the GL552 is still offered in the same red and black box with ROG’s logo on top of it. Inside, you will find the usual DVD full of drivers, user manuals, AC charger, cleaning cloth, and a handy tie for easier cable management. 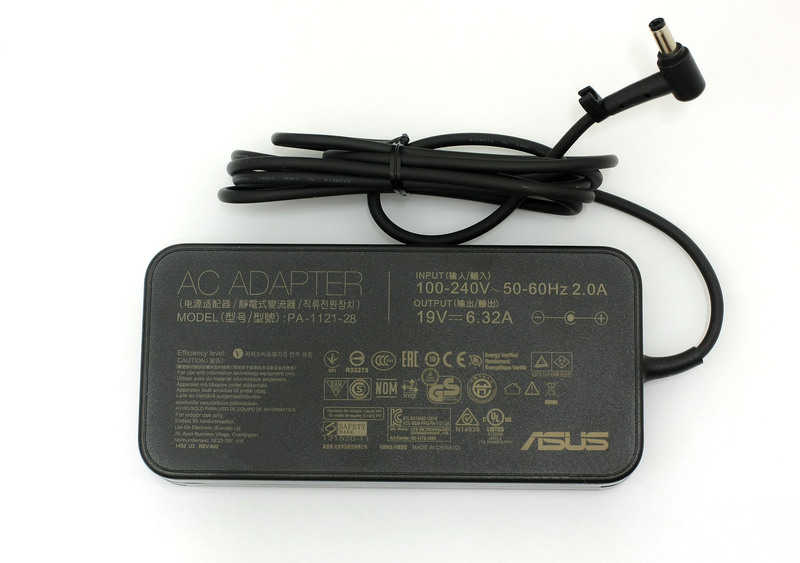 Despite the looks, the ASUS GL552 doesn’t inherit the build quality we are used to seeing with ROG laptops and this is understandable due to the price range in which the device is offered and it’s logical that ASUS has kept the cost of materials to minimum. Still, it leaves us wanting more in terms of design and here’s why. Starting with the lid. It’s made of plastic with a rough surface and a silver plate with ASUS’ ROG logo on top (which is LED backlit by the way). It does look like a G751, but it sure doesn’t feel like it. Even the silver plate imitates aluminum and you can be easily fooled looking at it from a distance, but the minute you touch it you will know it’s not. 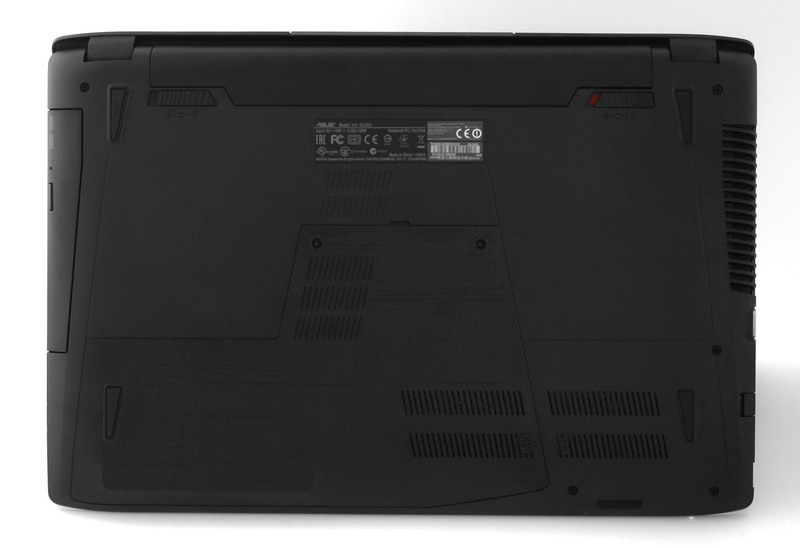 On the other side of the lid are the 15.6-inch screen, the webcam and the usual ASUS logo at the bottom. The bottom piece is also made of hard plastic with interesting ornaments on top of it. Few screws keep it in place, but only two are used for the main service cover. Under it you will find the most common upgrade options like HDD/SSD, RAM chips and here’s the pleasant surprise – M.2 SATA slot, but more on that in the next section as we are going to review the internals more thoroughly. The profile of the notebook is strangely thick, measuring at 32.4 mm the notebook isn’t the smallest we’ve seen it this class. We do hope that this will positively affect the cooling capabilities. The left side contains the main heat dispersing grill, one VGA port, one HDMI, LAN and two USB 3.0 ports. On the right, you will find only one USB 2.0 port and two 3.5 mm jacks for headphones and external microphone. Along with the ports, ASUS has placed an optical drive at your disposal and an SD card reader at the front end. Moving on with the interior of the machine, which looks and feels way better than the outer surface. Glossy, metal-like finish around the keyboard is pleasant to touch, but leaves nasty smudges pretty easily. It also features nice looking stripes on the top giving it a more distinguished look. The keyboard is also pretty nice with long enough key travel, soft and tactile feedback and easily recognizable “WASD” buttons. It’s just perfect for playing games and it’s comfortable enough even for typing. The keyboard also has its own LED backlight which is a bit dimmer to our taste, but it does offer several brightness levels. The touchpad, on the other hand, is just a letdown. It sure feels nice and it’s quite responsive, but the wobbling effect is greater than you could imagine. If we can compare the touchpad with something, it will definitely be a sinking boat in the middle of a sea. It’s really hard to press either the left or right mouse button and it’s really hard to get used to it – uncomfortable, wobbling, and stiff. 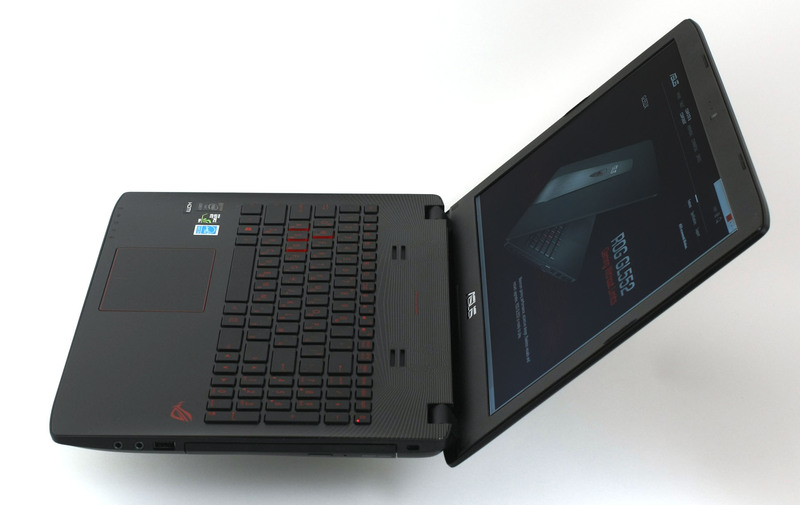 Even though the notebook looks like a ROG product, it certainly doesn’t feel like it. 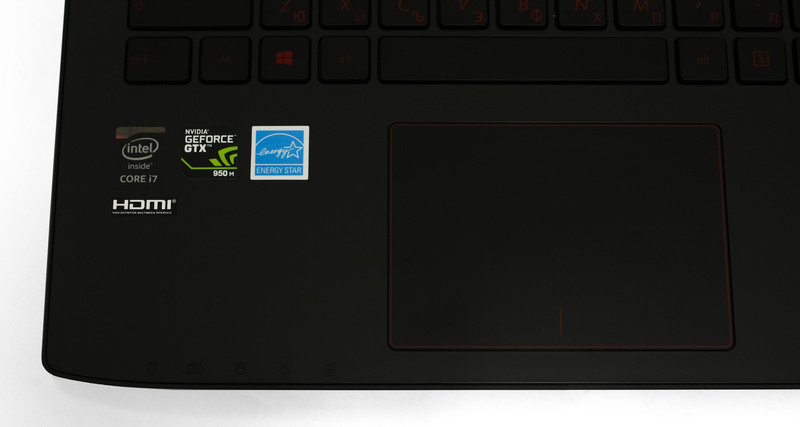 The build quality is way beyond what we are used to seeing in ASUS’ ROG laptops and the touchpad is a major drawback. 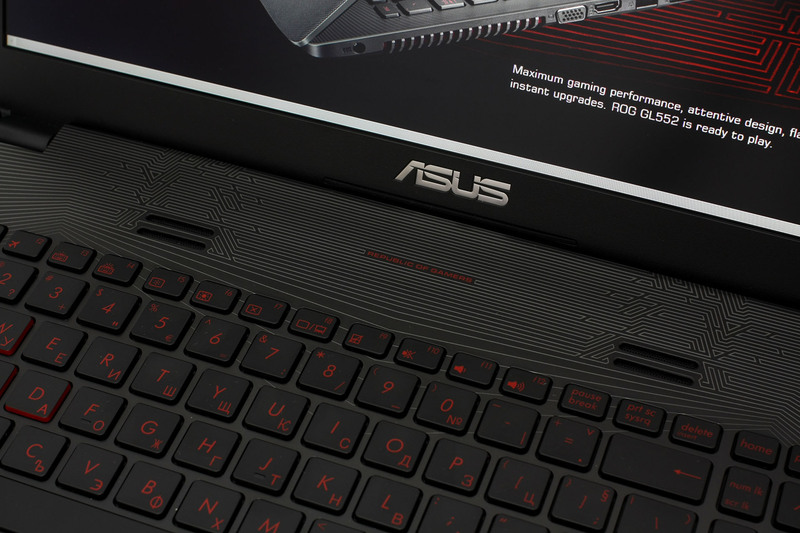 The plastic used for the exterior doesn’t feel good and it would have been better if ASUS used something similar to the one used for the interior of the machine, despite the fact that it’s prone to fingerprints. 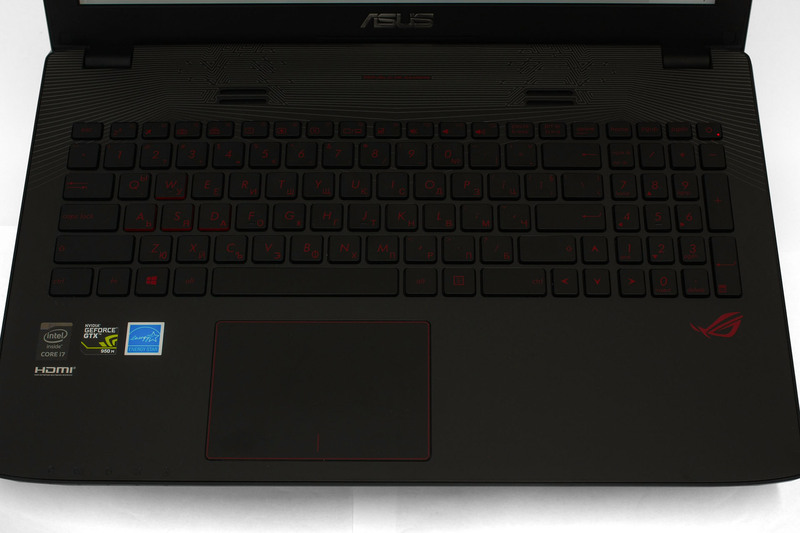 The overall feel of the ASUS GL552 leaves us with something more to be desired. GL552’s display uses the same Samsung panel we found in the ASUS ROG G501 with model number 156HL01-102. The diagonal measures at 15.6″ with a resolution of 1920 x 1080 pixels making up for a pixel density of 141 PPI. The space between each pixel is 0.18 x 0.18 mm. Here you can see the image quality when the screen is viewed from a 45-degree angle. The maximum brightness we were able to measure is 281 cd/m2 with a deviation of 20% (which is just within the acceptable range). The average color temperature measured on white screen is 7474K – colder than the optimal one of 6500K (D65). It has more than the acceptable deviation. The minimum screen brightness, however, is 30 cd/m2. ASUS GL552’s display can reproduce 93% of the sRGB and 73% of the Adobe RGB color gamut. WEB-based colors will be missing a small portion of the red area. The gamma curve is slightly different from the optimal one – dark images will appear a bit dim and those with more light will be slightly brighter. We calibrated the display at 140 cd/m2 (48%) and adjusted the color temperature at 6500K. The contrast ratio at this point is 840:1. We did the same with a second calibrator, but this time we’ve measured the accuracy before the actual calibration. The results are again excellent. You can see the results on the color map below. The screen uses PWM across almost all brightness levels and screen flickering doesn’t occur when brightness is set to 100%. The emitted light pulsates with a frequency of 200 Hz which is quite stressful to your eyes. The results here are unacceptable. We recorded the refresh time of the pixels from black to white and white to black for 10 to 90%. So we were able to measure Fall Time + Rise Time = 33 ms, which is more than 3 times the response time a TN panel would reach. But the TN panel cannot be compared to an IPS panel in terms of image quality. ASUS GL552’s display has some good properties but just like every other display on the market – it has its flaws. For instance, it has high resolution leading to a high pixel density, relatively high contrast and maximum brightness along with accurate colors and good viewing angles. However, the display might not be suitable for long hours of gaming or work due to the so-called screen flickering that occurs under 99% of screen brightness. Also, the response time of 33 ms can be considered as too slow for the most demanding gamers excelling in the first-person shooter genre, but it would do just fine in another type of games. The sound quality is excellent with frequency response of +/- 6 dB from 500Hz to 15kHz. The test is conducted with 16-bit sample sound played with VLC Player. Along with all the other specs, the battery doesn’t strike us as remarkable too. It’s 4-cell with a capacity of 3200 mAh and if we take into account the power-hungry 47W CPU and FHD IPS panel, we can’t expect much from the device. Nevertheless, we ran the usual browsing, video playback and gaming tests to evaluate the battery performance and the overall optimization of the system. All tests share the same conditions – Wi-Fi turned on, Bluetooth is off, power saver is on and screen brightness is set to 120 cd/m2. 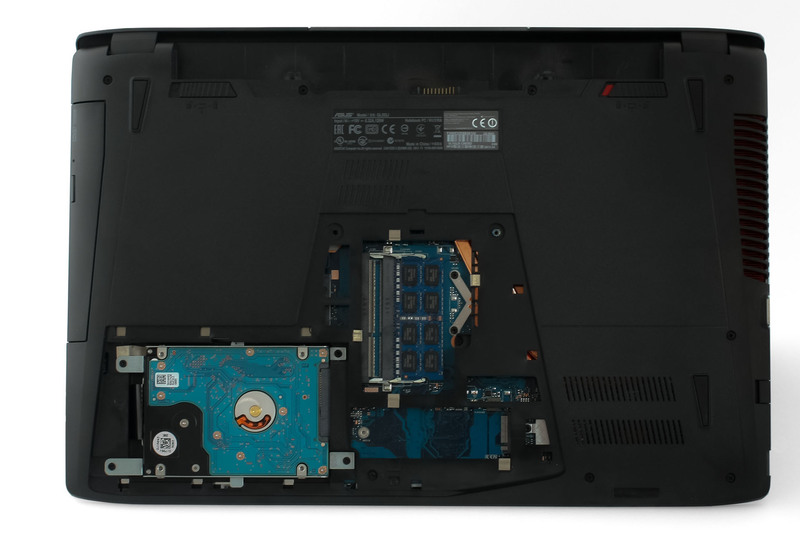 Unsatisfying result, even for a gaming notebook – 186 minutes (3 hours and 6 minutes). Almost the same scenario here – 193 minutes (3 hours and 13 minutes). Surely the most demanding test got the most of the battery with a result of just 56 minutes. Yes, we know that this is a gaming machine and it’s not intended for gaming on battery, but fo evaluation reasons we run these sorts of tests. Fritz is a chess benchmark which tests the computing capabilities of the CPU with various chess moves. 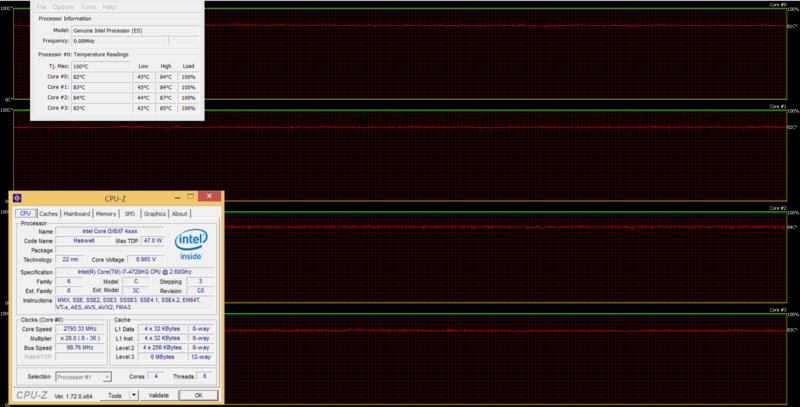 The Intel Core i7-4720HQ managed to get 13.001 million moves per second. For comparison, one of the most powerful PCs, Deep(er) Blue, was able to squeeze out 200 million moves per second. In 1997 Deep(er) Blue even beat the famous Garry Kasparov with 3.5 to 2.5. All gaming tests were performed with the latest NVIDIA drivers installed and in this case 350.12 WHQL. We try to test the overall stability of the system in the long run with two simple CPU and GPU stress tests. Firstly, we start off with 100% CPU load to see how the internals handle the rise of temperature and if any throttling occurs. 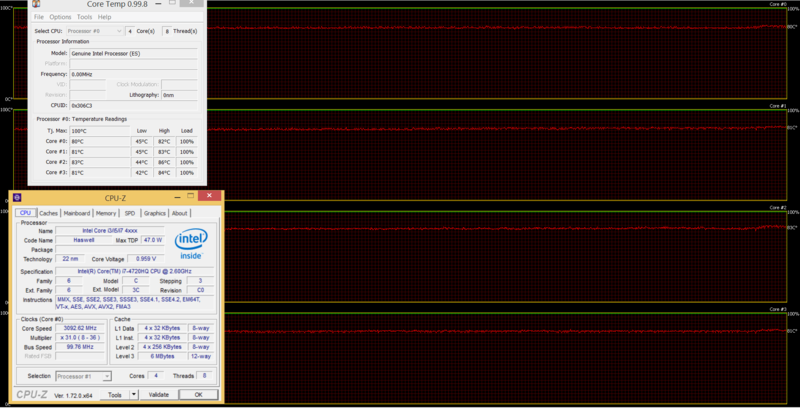 The tested unit here has Core i7-4720HQ CPU that reached temperatures of around 45°C when ticking at normal state. When we turned the load up to 100%, the cores went as high as 79-81°C which is far from the maximum operating temperature of 100°C. Also, the CPU should tick at 3.4GHz with 4 active cores, but it slowly declined to 3.0-3.2GHz which can’t be considered as throttling since it’s way above the base frequency of 2.6 GHz. To be honest, you wouldn’t tell the difference. You can see the CPU load (green line) and the temperatures (red line) on the graph below. After more than an hour, we also turned on the GPU stress test to see how the system will handle the extra load and if the CPU and GPU share the heat. The CPU temperatures rose with a few insignificant digits, so nothing to worry here. The GPU also maintained good temperatures – around 66°C, but, unfortunately, bigger throttling occurred. The CPU’s frequency declined to around 2.8GHz and the second we turned off the GPU stress test, the frequency rose again to about 3.2GHz. It’s good to keep in mind that such conditions are quite unlikely to be reproduced by real-life gaming or working. We do these sorts of tests just to see the overall system stability in the long run. Moreover, we’ve measured the temperatures on the surface of the machine to see if the inner heat of the hardware will affect user experience. In this test, the GL552 passed with flying colors. As you can see on the heat map below, no discomfort is caused by the extra load and heat leaving the outer surface cool. 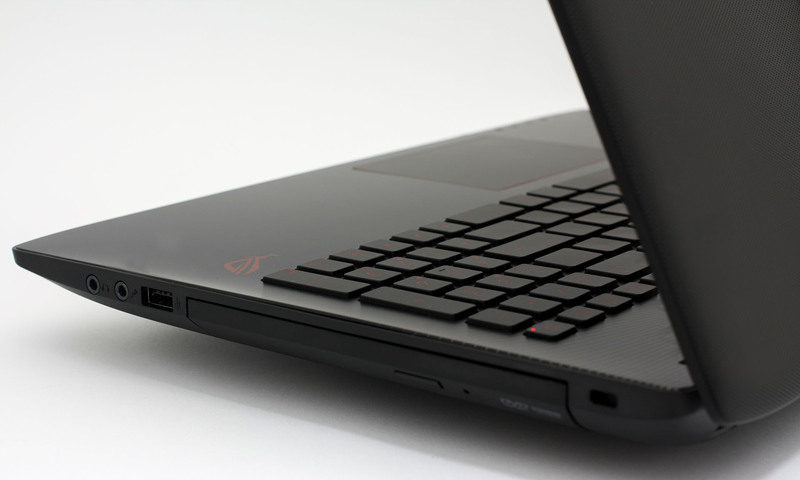 Our first opinion on the notebook stays the same – it looks like a ROG device, but doesn’t leave the same impression. 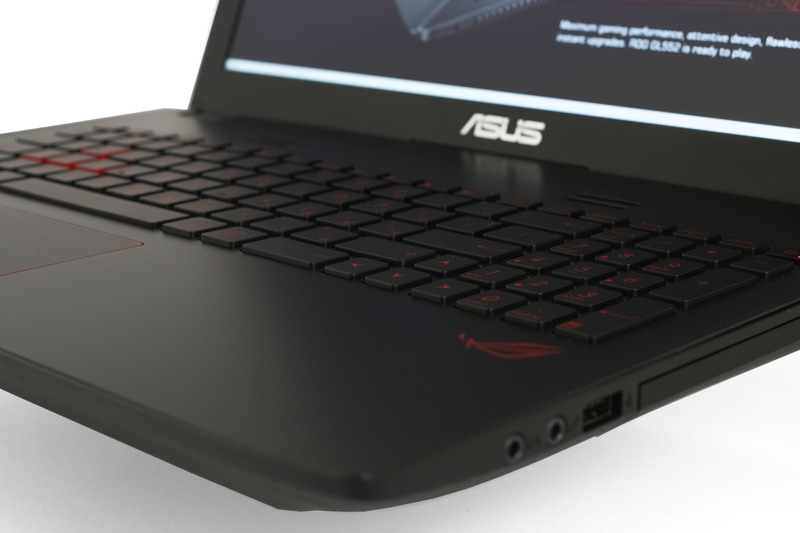 The build quality isn’t what we are used to seeing on a ASUS ROG notebook – the plastic feels cheap (except for the interior, the interior feels pretty nice), it’s heavier (2.6 kg) and bulkier than most of its competitors with even more powerful hardware, and finally the lid bends too much when the smallest amount of pressure is applied. The touchpad is also awful with the wobbling effect getting in the way all the time. It makes it a challenge when using the left and right mouse buttons. At least the keyboard is good with the right amount of key travel and tactile feedback. 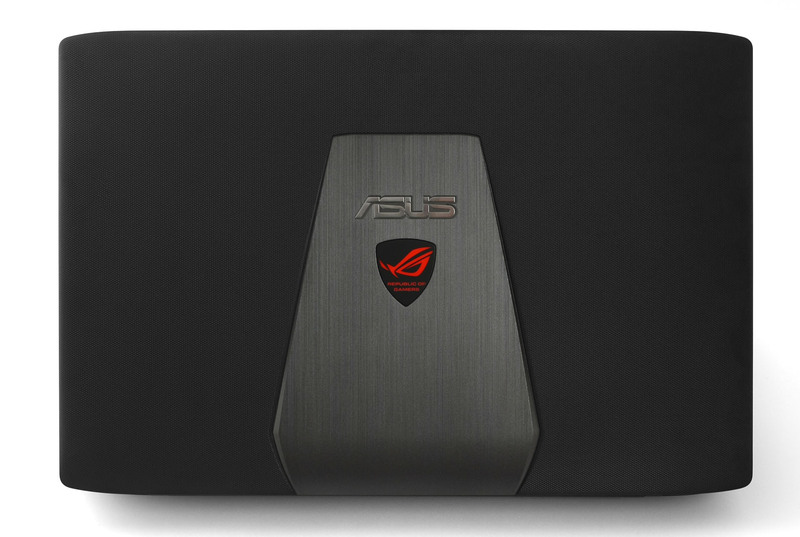 However, we cannot mention that ASUS has managed to put together a relatively powerful notebook with a good price tag. 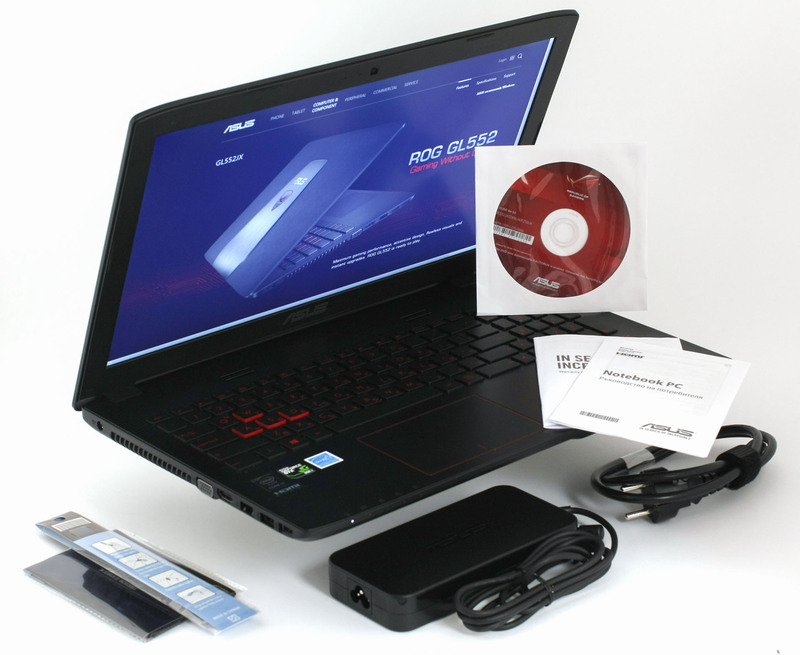 Note that we are saying a powerful notebook for the price, but it’s really hard to categorize it as a gaming notebook as the GTX 950M (2GB DDR3) is more of a multimedia graphics card. Another great advantage for the given price is the quality of the IPS panel and the M.2 SATA slot. Both are really rare to be seen in a budget notebook, left alone a gaming one. Despite that, the screen has PWM across almost all brightness levels and we strongly suggest that you play/work most of the time at maximum brightness. The bottom line? If you are really a fan of the ROG series, but you don’t have the extra money to spare on their higher-end machines, the GL552 still has some pretty good things to offer and the cooling system is one of them. best laptop, but tell me which window perform better in this Laptop Window 8 or Window 7 ?? Hello sir, i’m not a big fan of Asus products but I need to buy a laptop, but my budget is tight suggest me a good laptop under Rs. 25,000. Please Reply ASAP as this urgent for me. My friend suggestion this laptop amazing laptop and power battery.